Rip it, Rip it real good!! wouldn't that look great hanging on your wall next to your machine? 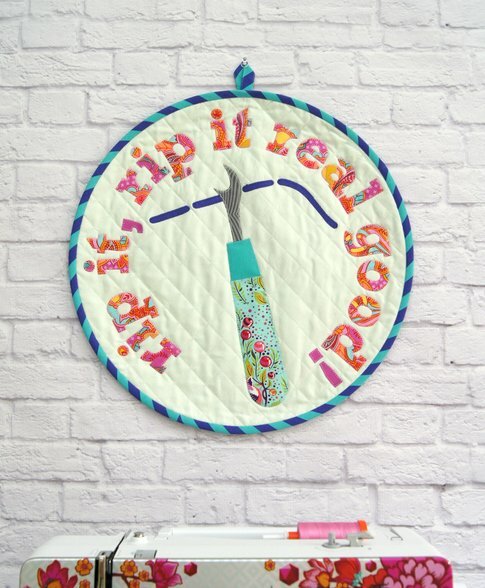 Or Cut, Sew, Press, Repeat...... the latest play on fun words featuring a favorite quote and sewing equipment. Whether you call it a seam ripper, unpicker or reverse sewer, it is the tool a sewer cannot live without. 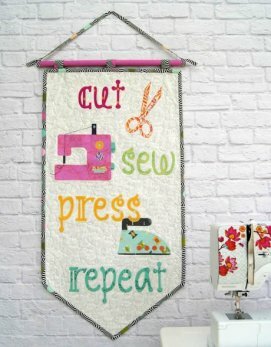 Cut, Sew, Press, Repeat uses 10" square but would also be a fantastic project to use up some of your scraps. Either of these mini quilts will make the perfect project for yourself or make it for a gift for one of you sewing friends. Use up the scraps!!! !